Posted in New Prescription Riding Glasses? Safeway3 - March 29, 2011, 5:34 p.m.
Re: New Prescription Riding Glasses? - March 13, 2019, 1:50 p.m.
Re: buying a used frame from the US and A - March 1, 2019, 4:53 p.m.
Re: NSMB - 2019 - Hardtail Thread - Feb. 10, 2019, 12:27 p.m.
Any riding groups around - Jan. 10, 2019, 5:38 p.m. Looking to tag along for a rides here and there. Lower mainland area. Out of shape intermediate rider, not really willing to go big or do crazy lines anymore. On a railroad schedule, so life's pretty hectic. Just want to get out there and ride a few trails, have a good time kinda deal. All my old riding homies are now on dirtbikes or sleds. Re: NSMB - 2018 - Hardtail Thread - Jan. 2, 2019, 9:11 a.m.
On the topic of tires, I see there’s a high roller II in 27.5x3.0 good? Or too slow rolling. 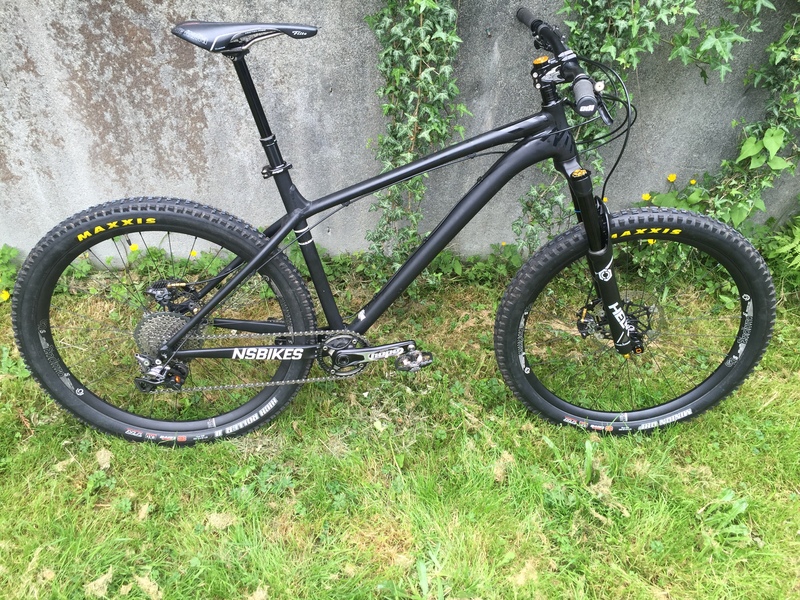 Re: NSMB - 2018 - Hardtail Thread - Dec. 20, 2018, 5:05 p.m.
Hey peeps, just ordered me an NS eccentric ALU 27.5 build with a 140mm up front. Anyone riding one of these guys and got any info or opinions for me? Re: CRC to stop selling Shimano in Canada and the US - Dec. 20, 2018, 5:01 p.m.
Re: school me on headsets - Dec. 2, 2018, 10:27 p.m.
Re: Need new hub - Dec. 2, 2018, 10:25 p.m.
Take a look at i9. They're very good. Re: Advice on boots!! - Oct. 26, 2018, 4:35 a.m.